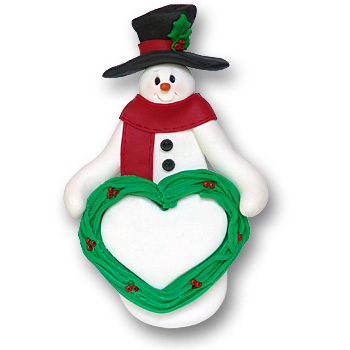 This little snowman is perfect for anyone. Also great for a couple or an event. Names, message and or year may be placed within the heart. The ornament is handmade from polymer clay, designed by me and comes complete with hook and satin ribbon for hanging.